November’s First 7 Giveaway. Enter here to win now! We are moving to Arizona! The move may be temporary but the packing is real! I am trying my best to keep up with an adjusted homeschool schedule as well as continue to keep Dear Homeschooler updated with new and useful posts. Thank you for your understanding during the next month of craziness. Solar System Unit Study and FREE Printable K-3 Activity Pack. Here. Children Around the World Learning Pack. Here. 10 Free and Cheap Kindle Books for Kids. Here. Free Printable Pharaohs and Queens Lapbook. Here. Resource Room: free downloads, links to free products, great products, etc. NEW! Check out this series of link-ups. Search great resources by subject and grade level. Bloggers, link-up your awesome posts. $10 Off a Brainzy Annual Subscription! 50 Random Facts You Won’t Believe Are True. Here. 99+ Teaching Resources You Can’t Live Without. Here. Best Geography Apps and Games for Kids. Here. Create Your Own Atlas: A High School Geography Project. Here. Add your themed posts to the link-ups below! Browse the wonderful posts for great ideas! Check out these Link-Ups and Blog Hops for hundreds of resourceful links! Disclosure: This post may contain affiliate links, which means I receive a commission if you purchase materials through the links provided here. All opinions expressed are my own and are not swayed by company, commission, or free product. 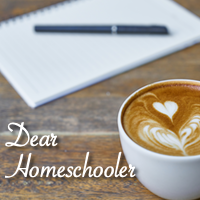 THANK YOU for supporting Dear Homeschooler.